Let us clear the air. Aire-Master eliminates odors and leaves a fresh scent. 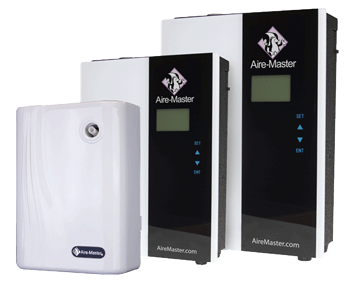 Aire-Master makes it a breeze to remove bad smells that linger in the air. Our deodorizing service kills odors and leaves a light, fresh scent. 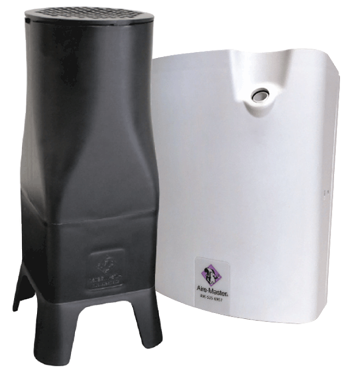 We have dispensing systems to take care of odors in your large spaces and small rooms. We’ll install a system to fit your needs and offer you a wide variety of fragrances to choose from. We’ll maintain the equipment at no cost and keep the deodorant and fragrance replenished for a small fee. We don’t just mask odors — we eliminate them with proven technology. 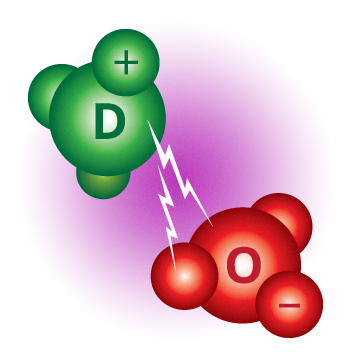 Our fragrances include a true deodorant that attacks odor at the molecular level. This leaves odor-causing molecules odorless, allowing you to make a great impression on your customers and visitors. What size space do you have? We have an option for you. Our D1000 Room Deodorizer is ideal for restrooms, offices, entries, short hallways, small lobbies, and waiting areas. The D2000 (ScentScapes®) and D2500 easily handle meeting rooms, large lobbies, waiting areas, and shopping spaces. Our D3000, D4000, and D4500 digital scent diffusers are designed for big entertainment and large indoor environments. 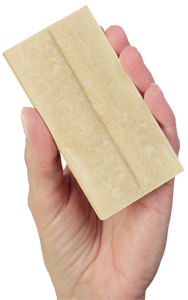 Aire-Master uses a fiber bar material that is composed of 66% cloth & fabric post industrial textiles and 33% wood pulp. Recycling these materials reduces the amount of landfill waste. Aire-Master deodorant bar products are included in the pure perfumes category, and compliant with VOC (Volatile Organic Compound) standards. Aire-Master does a great job keeping our bathrooms smelling good. They are always friendly and let us pick scents regularly so we get to try new smells. They really do KILL the odor as opposed to masking it. Thanks for your service. Ralph, Waddell & Reed, Inc.
Our Aire-Master Rep is always pleasant and prompt, Our customers comment how nice our store smells. Thanks for your years of good service. 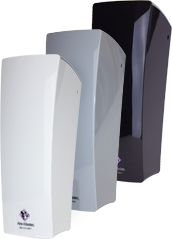 We have been utilizing Aire-Master in our public restrooms and employee restrooms since we opened our new hotel in 2010. I would highly reccommend the service as the odor control helps us maintain these areas for our guests.